Every year I wish that Valentine’s Day was at the end of February instead of right smack in the middle. 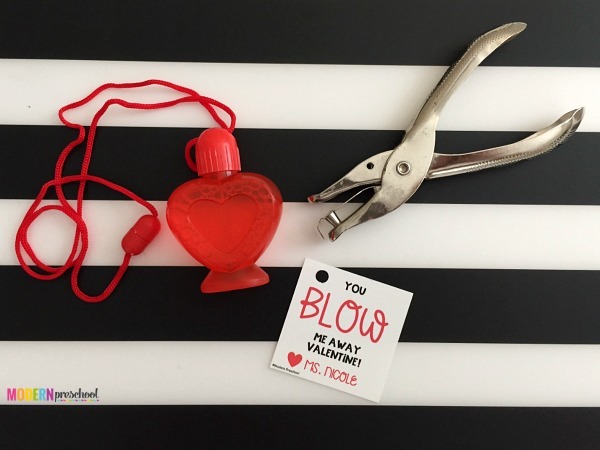 I love all things Valentine’s Day and could plan new activities all about hearts and love for an entire month in my preschool classroom! One of my favorite part of Valentine’s Day in preschool is when the kids hand out Valentines to each other. We sit around the carpet and take turns putting sweet cards, trinkets, and even candy into each other’s bags. It’s always so much fun! This year, I’m handing out bubbles to my preschoolers. 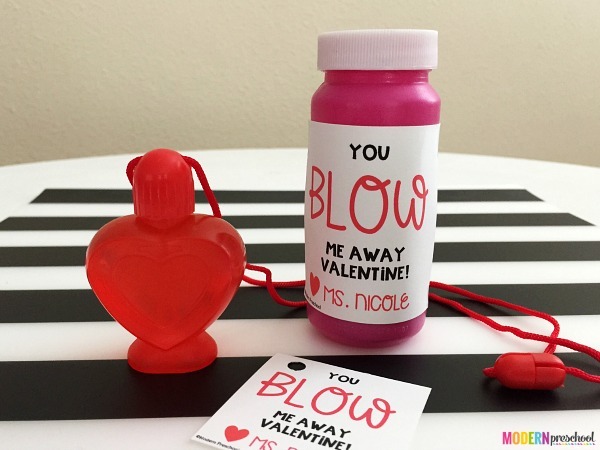 Get your own set of Printable Bubbles Valentines for kids too! I tried to make the Printable Bubbles Valentines as versatile as possible. The printable tags should work for just about any bubbles you find! I bought mine from the dollar store. They had packs of 4 for $1.00. The bubbles that I purchased were necklaces. I was able to easily unhook the necklace and slide the printable tag on the string before hooking it back together. Easy peasy! The Printable Bubbles Valentines can be printed below. Each page has 12 tags included on it. Cut the tags apart along the gray dotted lines. I made them squares to make cutting quick and painless. Between my 2 preschool classes and my own kids’ own classes, we have a lot of Valentine making to do so I’m all about saving time! I punched a hole in the upper corner of the tag before stringing it on the necklace. You could also use ribbon to attach it to bubbles. If using the bigger container of bubbles (like in the photo below), you can use tap or glue to attach the tag. HINT: You may notice the different sizes of the tags in the photos. For the necklaces, I printed the tags at 85% and the bigger bubbles container at 100%. I changed the size when my printer pop-up was on my screen. 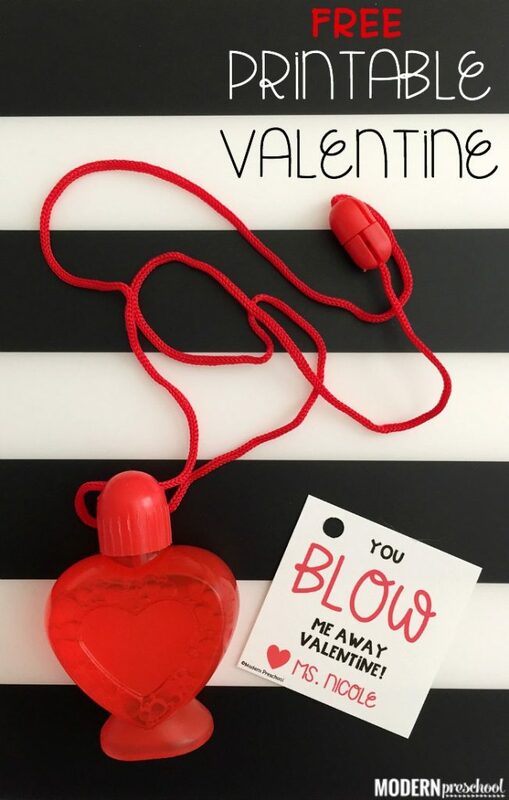 Print your own set of “You BLOW Me Away Valentine!” tags at the pink button below! You will love how easy these are to put together!